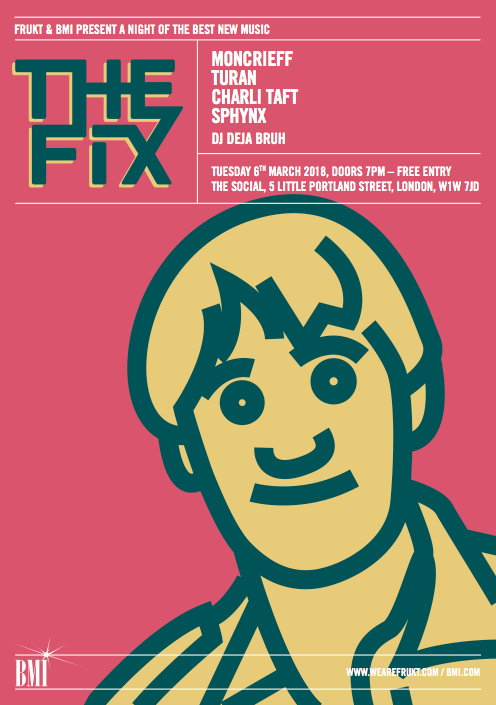 THE FIX continues our fifth year down The Social, featuring the best new breaking bands and as always, it’s FREE ENTRY all night! There’s a lot of buzz about this new artist and former backing singer for Adele who describes his music as ‘neo-noir’. His debut single ’Symptoms’ was an anthemic, bold modern rock/soul cut that fans of Rag N Bone Man or Tom Grennan will instantly connect with. We’re really excited to have him headline our second edition of THE FIX for 2018, as this artist is set to have a huge 12 months. A gifted new singer-songwriter, Turan’s brooding emotional guitar soundscapes have hints of Ghostpoet and Massive Attack and his early songs already sound built for big stages. This will feel very special indeed down in The Social basement. Bursting onto the pop world last year with a brilliant first single ‘Love Like You’ (which quickly became Radio 1’s Tune Of The Week) Charli Taft is also a successful songwriter penning huge hits for K-Pop acts like Girls Generation. We can’t wait to hear new music after her exiting debut cut. Hailing from Austin, Texas, Sphynx are an exciting new synth-pop band with a thrilling live sound. Fans of Passion Pit will instantly fall for their charms and we can’t wait to have them open the night.